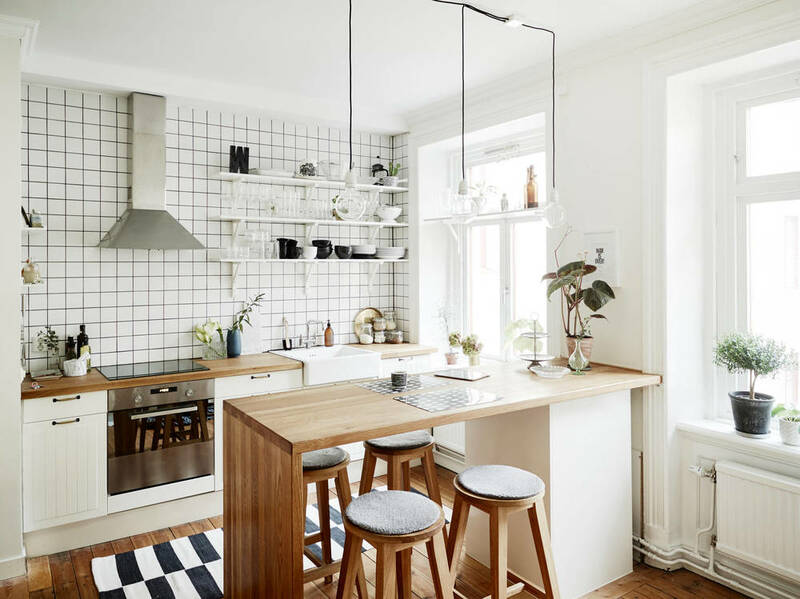 In this 100 year old Swedish home rustic meets refined Scandinavian style. 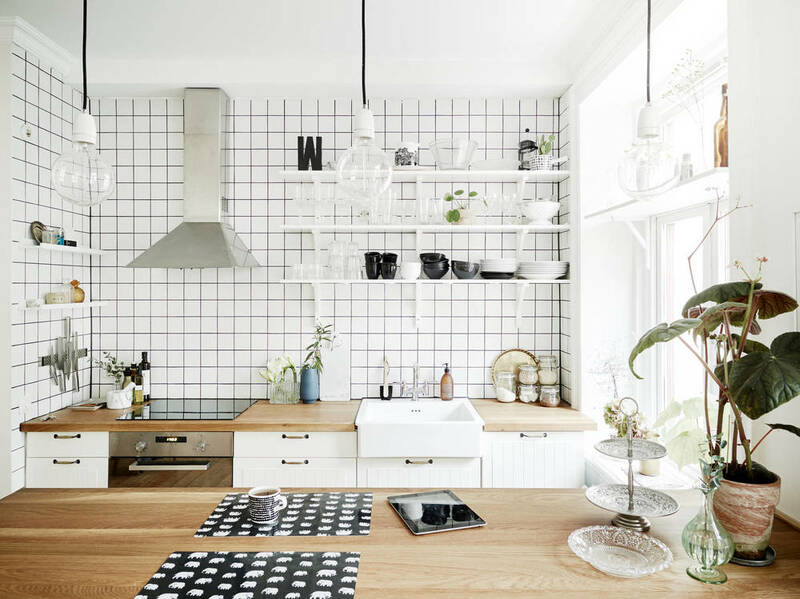 The kitchen is my favourite room for sure with the wall of subway tile and double hanging lamp. 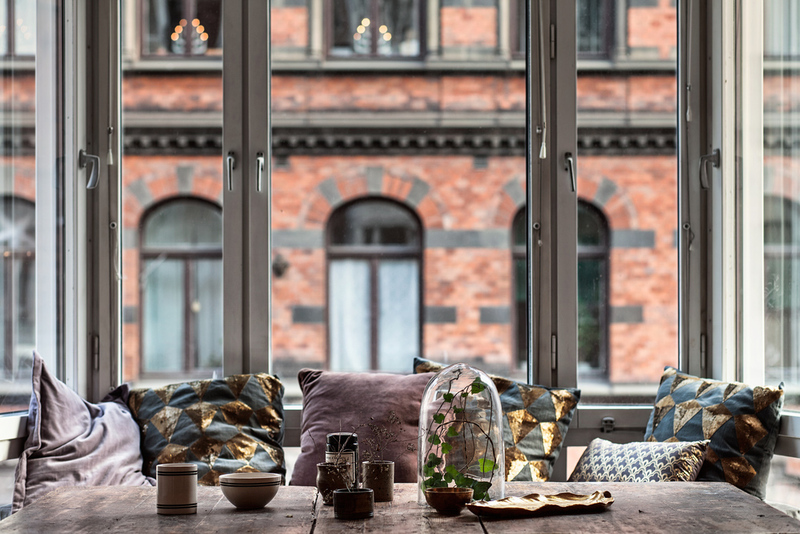 Sheepskin covered rattan chairs create a cozy space in the dining room. 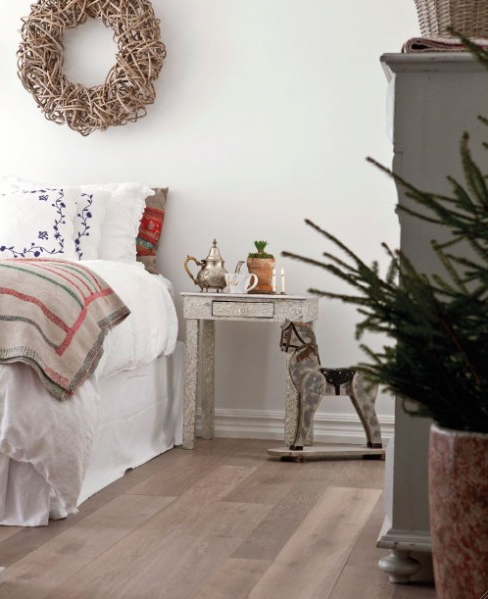 Simple Christmas trees and a bit of red and white add a pretty touch of the holiday season. Lovely home dressed for the holidays! 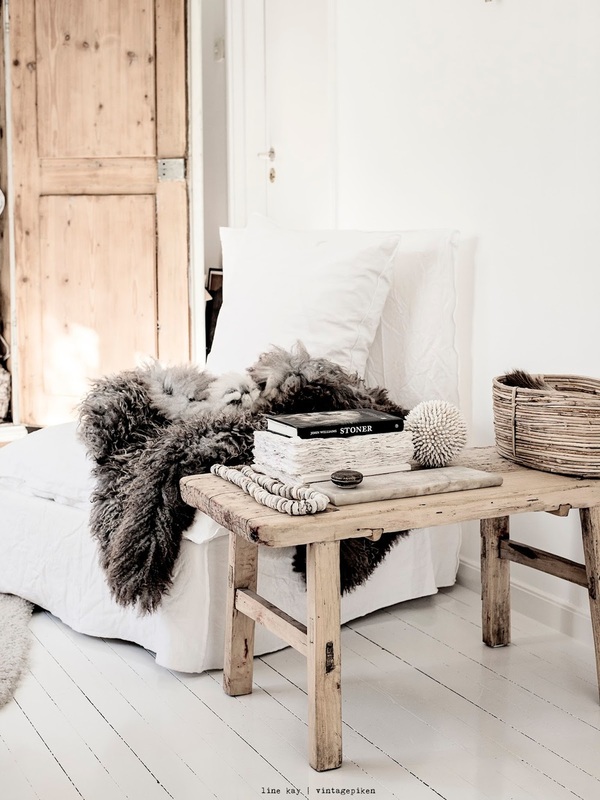 If you read my blog on a regular basis you know how much I love Nordic influence in design. 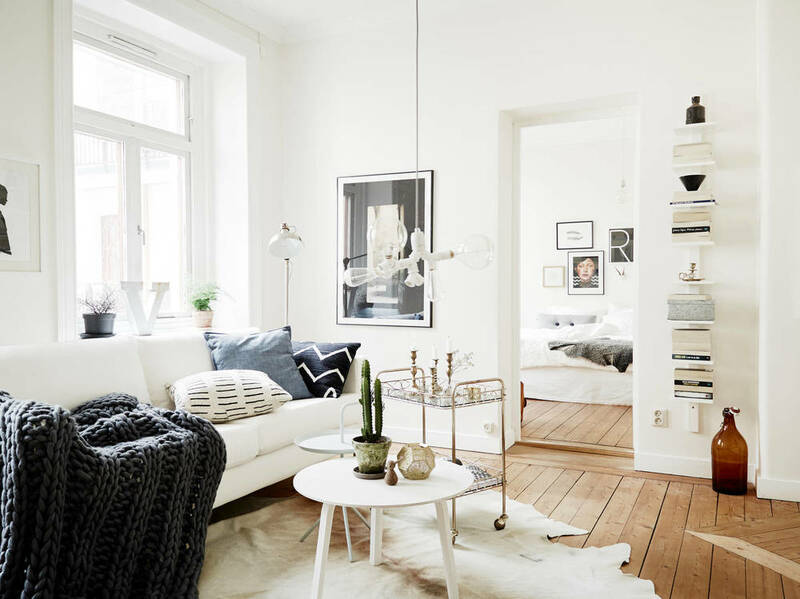 The clean lines, simple styling and of course the use of white in Nordic decor inspires me enormously. Well imagine when I opened my Est Magazine this month to see none other than the The Nordic Issue.....love, love, love. Here are a few photos from the issue to inspire you and you can go here to see many more!! 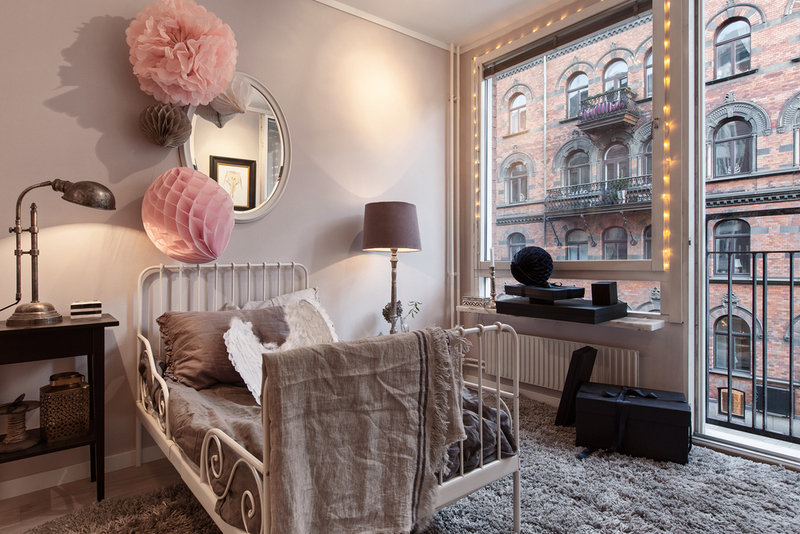 This tiny space is soooo cute and really perfectly decorated for the size. 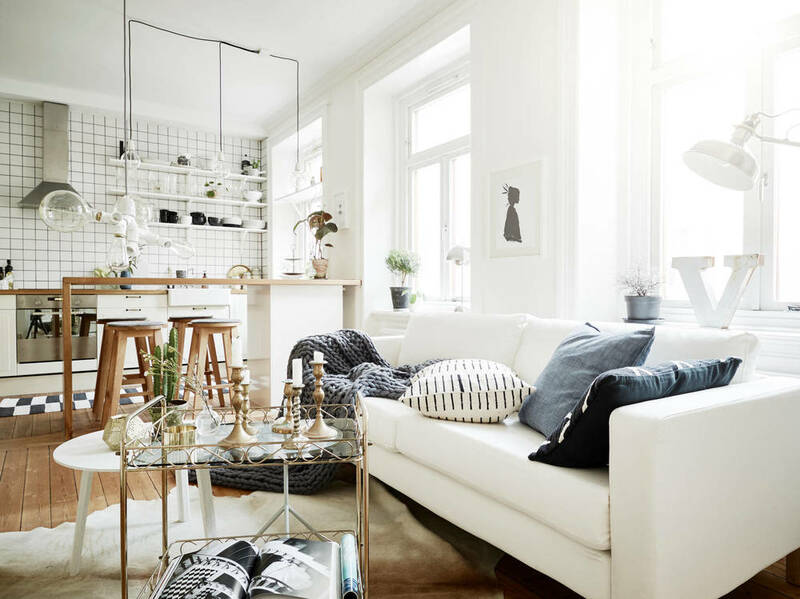 They have used some small size pieces like the couch and coffee table mixed with some oversize pieces for impact...like the large light in the living room. 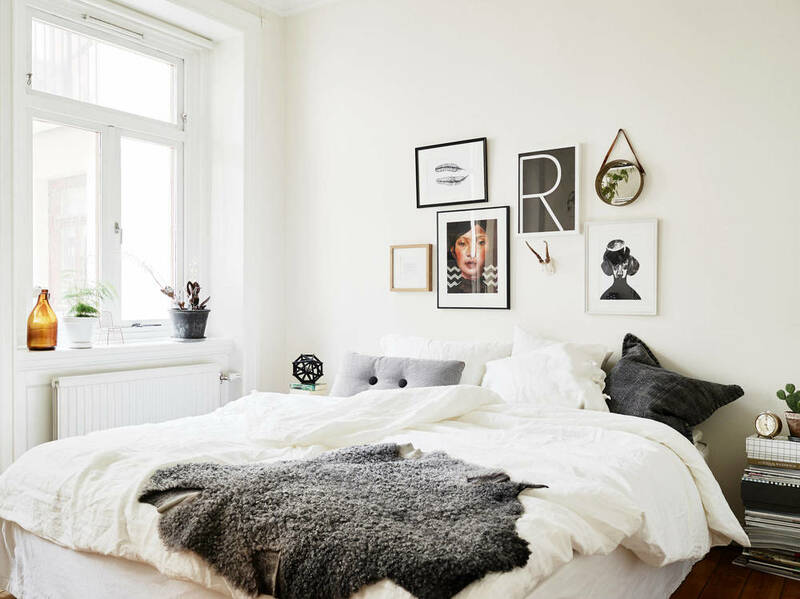 I like the way they have used the dresser at the end of the bed, almost like a footboard...a great way to add a dresser when there is no space. 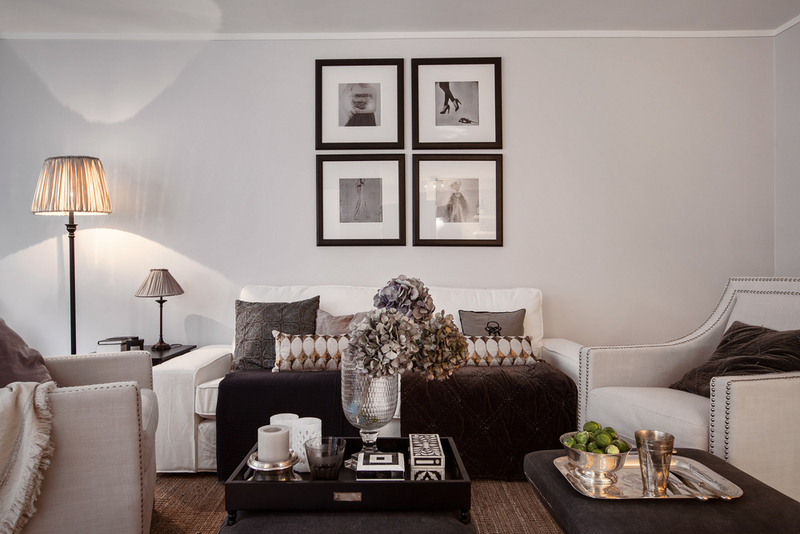 Pretty pops of colour in this compact apartment. Black glass backsplash in the kitchen provides great reflection along with the modern white cabinets. A great wall of closets behind the bed are a wonderful decorative element in the room as well. 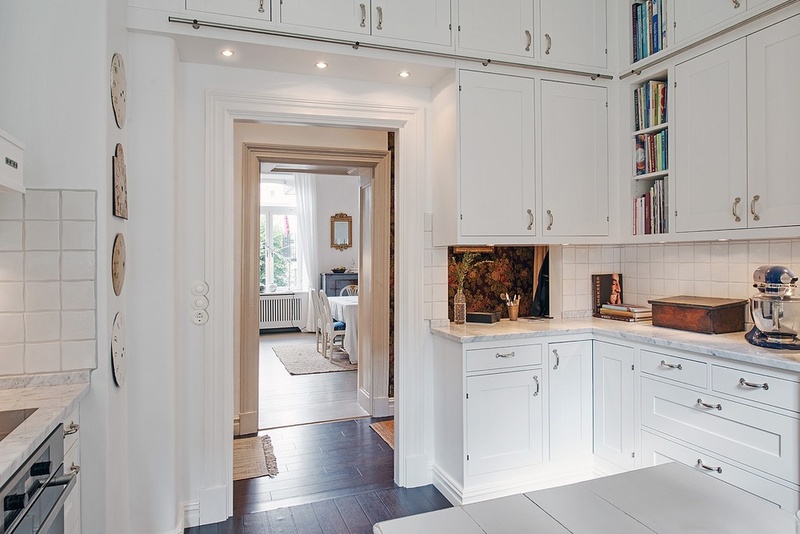 The apartment is for sale on Husman Hagberg if you are interested...another great real estate website.